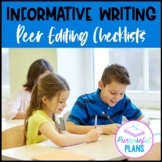 My students love using this checklist to improve each other's informational writing! 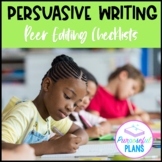 This gives a clear outline of what they are expected to check for when reading a peer's writing. 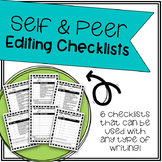 Self & Peer Editing Checklists - 6 Versions! 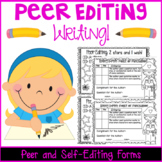 Also included in: Writing Units BUNDLED-YEAR LONG! 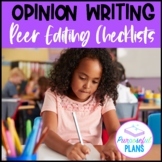 Students peer edit writing and pose questions to each other that are provided in rubric for each criteria of their writing piece. 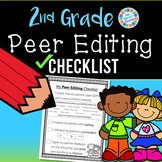 This is a peer/ self editting checklist for a report that was used for a science unit. 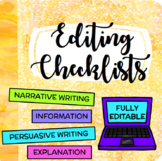 This is a Word Document, so it can be altered to change and adapt for your specific unit/ report. 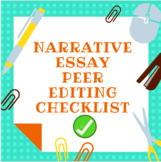 My students love using this checklist to improve each other's narrative writing! 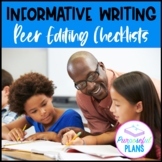 This gives a clear outline of what they are expected to check for when reading a peer's writing. 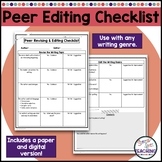 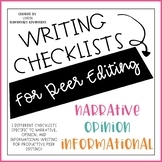 Also check out my Peer Editing Checklist for Informational Writing in my store.